Vintner colleagues Nik Weis (Weingut St. Urbans-Hof, Mosel, Germany) and Martin Foradori Hofstätter (Weingut J. Hofstätter, Alto Adige, Italy) seized the opportunity to become co-owners of Weingut Dr. Fischer in March 2014. This historic wine estate is located at the foot of the world famous "Bockstein" vineyard slope in the Mosel. (A "Bock" is a billy goat in German, and a "Stein" is a rock. ) They sourced grapes from neighboring vineyards and, inspired by the Bockstein, came up with a fun and catchy name: Spicy Goat! 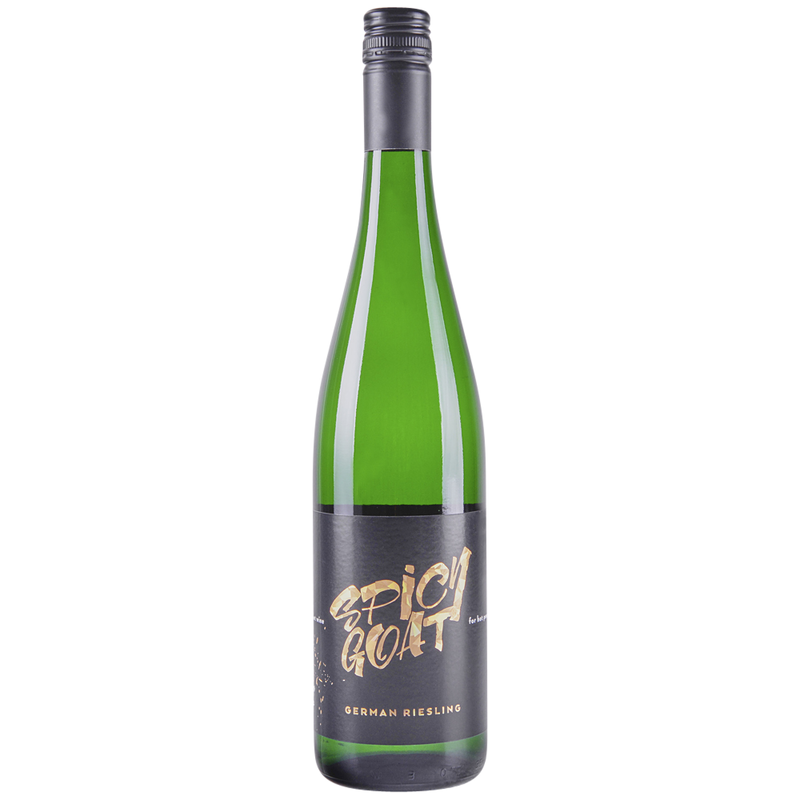 The vintners also wanted to create a mineral, fruity, off-dry Riesling. Spicy Goat! A HOT Wine for HOT People! A masterpiece of German precision and Italian lifestyle!